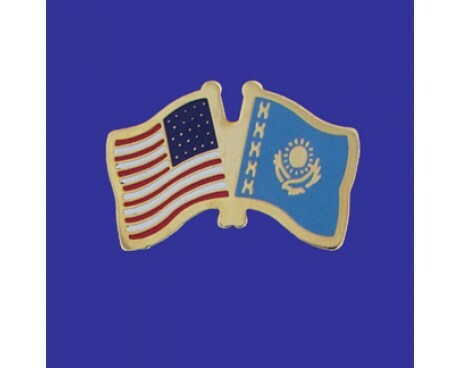 Kazakhstan Stick Flag - 4x6"
The current flag of Kazakhstan was designed when the nation's communist government left power near the end of the 20th century. The modern design draws on an ancient tradition of Kazakhstan flags and tribal emblems to create a flag that captures the spirit of the nation and embodies the history of its people. 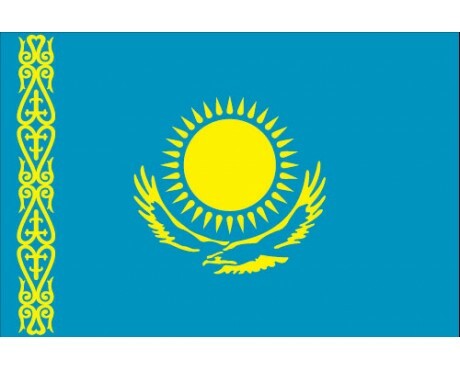 Modern Kazakhstan flags have a sky blue field that is decorated with an ornamental design in gold along the hoist and emblazoned with a golden sun and eagle in the center. The sun is a symbol of wealth, prosperity, and the power of life. The blue field represents peace, freedom, and the people of Kazakhstan. The color also has religious significance in traditional Kazakh culture. The eagle is also a symbol of the Kazakh people that has had a place on tribal banners for centuries. It also represents the power of the nation and the freedom of the people who live within its borders. The earliest flag of the Kazakh people dates back to the Kazakh Khanate, which ruled the region from 1456 to 1847. It had a sky blue field like the modern flag, but it was decorated with three white stars along the hoist and a complex knotted pattern in the center of the field. 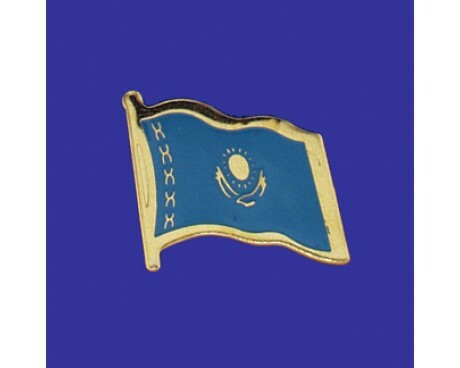 The flag fell out of use after the Khanate lost power, and no flag represented the Kazakh people until the rise of the Alash Autonomy, which had a flag of its own. The flag came into use in 1917. It had a solid red field emblazoned with a golden star and crescent that represented the Islamic faith which had become common in the area. Kazakhstan and its people gained a new flag when a communist government rose to power in 1937. The flag resembled that of most other communist governments with a red field and a golden depiction of a crossed hammer and sickle in the canton. The flag was redesigned in 1940, but the fundamental design principles remained the same. The field was changed to a darker shade of red and gained a blue stripe in 1953, and that design remained in use until shortly after the fall of the communist government. The government left power in 1991, and the modern flag came into use in 1992.